Making the decision to break the mold and start a business is an exciting step, but building a successful company is a challenging endeavor. This is particularly true for tech startups – whose industry evolves at a rapid pace. In no small way, the success of your venture will depend on the details of your business plan. Your strategy should be comprehensive yet concise and easy to understand for investors. It should outline your business goals and how you will achieve them. Also, your business plan should incorporate risk-management tactics and financial projections. 1. Develop a comprehensive marketing plan. There is a multitude of marketing channels available to entrepreneurs. Social media, blogging, press releases and pay per click ads all have their pros and cons. Your audience and budget will help you identify the best advertising options and get the most out of your marketing dollars. Which types of content resonate well with your audience? How do they interact with social media? While a B2B company can find success with LinkedIn ads, a B2C company’s promotions would be better suited for CPC or CPM ads on Facebook, Twitter and Google. What is your budget? If you are on a tight budget, then you may have to limit your marketing efforts to a few channels such as PPC and email advertising. The best approach is to find the channels that your audience interacts with most and use consumer targeting to maximize your return on investment. In addition to short-term marketing, you should consider where your company and brand will be six months, 12 months and several years from now. In particular, tech entrepreneurs should build a long-term search-engine optimization campaign in the first stages of business planning. The keywords you target will influence the marketing channels you use, the ads you design, and the amount of money you invest in each marketing strategy. 2. Use a business plan template. According to BusinessNewsDaily.com, the Business Plan Tool from the U.S. Small Business Administration lets you organize your strategy into six sections: Company Description, Product/Service Line, Market Research, Marketing and Sales, Financial Projections, and Executive Summary. You can save your business plan and tweak it whenever you want. The My Own Business Institute of Santa Clara University offers a free business template, which is available for download here. This template has 15 sections and tips for business management and problem resolution. 3. 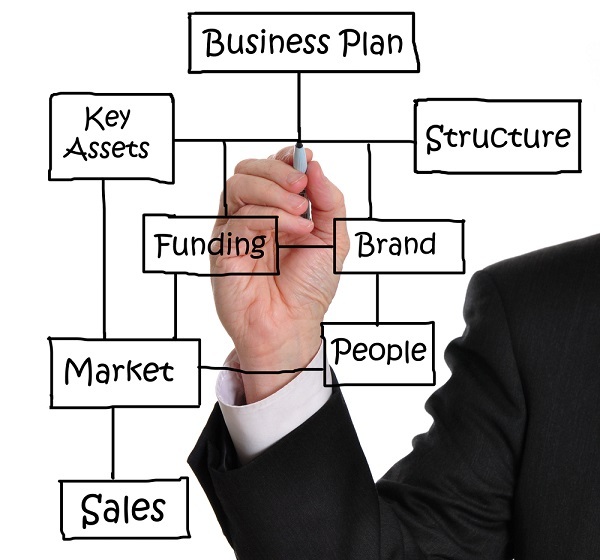 Make your business plan concise and easy to understand. Making your business plan concise not only will help you stay organized, but it will also attract more venture capital investors. This is particularly important for tech startups with complex products or services. Your business plan should clearly explain the amount of money you need to accomplish specific objectives, and the amount of income it would take to break even. 4. Analyze the risks, and incorporate them into your business plan. What intellectual property laws apply to my products or services? When and how do I intend to hire employees? What problems could arise in daily operations? How do I prevent and resolve them? Can your target audience afford your product or service? When developing your business plan, don’t be afraid to ask colleagues for their opinions. Also, get feedback from potential investors. Developing a tech company is an exciting process. It takes creativity, sleepless nights, leadership and – perhaps most important – thorough preparation to be successful. If your business plan is concise, organized, and incorporates details about risk management and marketing, then it will be much easier to attract investors and manage your growing enterprise.